to transform a former parking lot into Ferry Park. 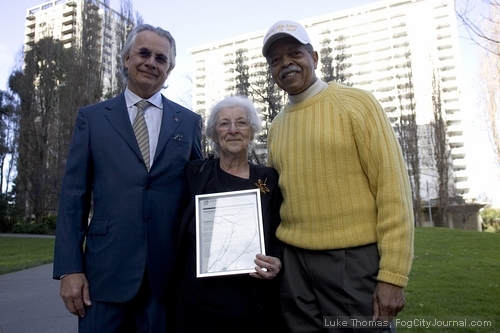 Neighborhood activist, community volunteer, and City Hall gadfly, Ernestine Weiss, realized her dream come true Monday when the city she made her home 21 years ago honored her for her leadership in spearheading the creation of Ferry Park in downtown San Francisco. The plaque is embedded into the pavement on the corner of Drumm and Clay streets. 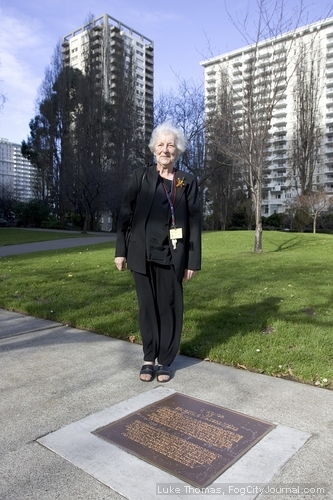 Ferry Park, now known as Sue Bierman Park, was beautifully transformed into a green open space following the 1989 Loma Prieta Earthquake, in large part thanks to Weiss. 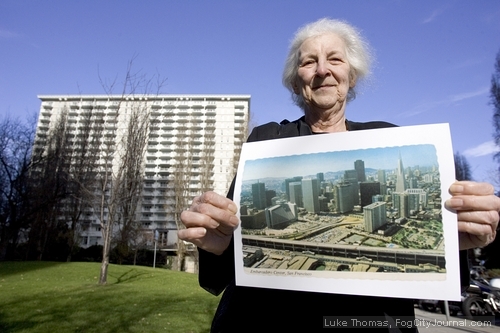 Weiss, who lives in an apartment overlooking the park, said she battled several deep-pocketed organizations and developers who were eyeing the valuable lots for private development, including the De Young Museum. Other proposals included a rail line into Chinatown, a butterfly museum, and a proposal to build a 600-car underground parking garage. Weiss’ energy and tenacity trumped them all. Weiss said she enlisted support from former Mayor Willie Brown who helped Weiss draft a jurisdictional transfer ordinance. The Board of Supervisors passed the ordinance unanimously. 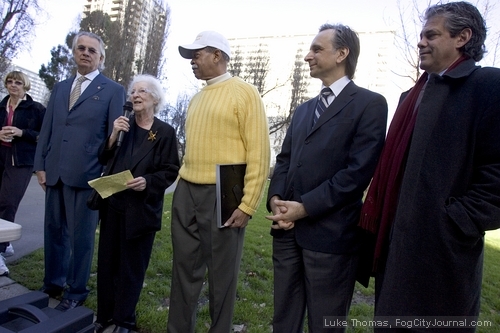 Joining Weiss for the dedication ceremony included architect Ted Brown, who paid for the plaque, Recreation and Park Commission President Larry Martin, Sierra Club Bay Chapter Political Director John Rizzo, and community activist Bob Coleman. Ted Brown, Ernestine Weiss, Larry Martin, John Rizzo and Bob Coleman. 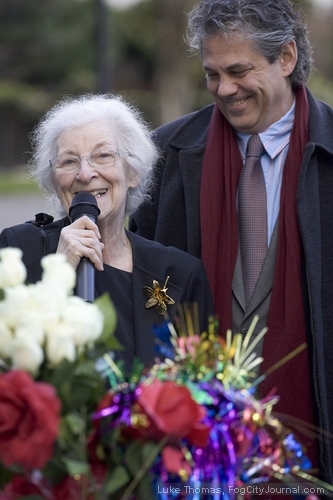 Ernestine Weiss with Bob Coleman. 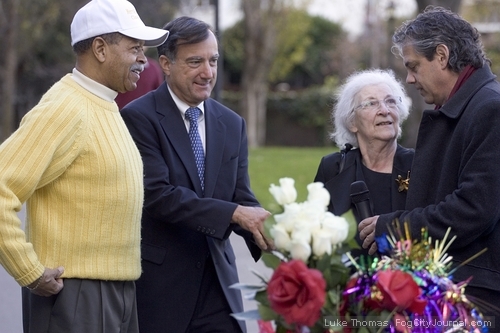 Ted Brown, Ernestine Weiss and Larry Martin. Ernestine Weiss and Bob Coleman. 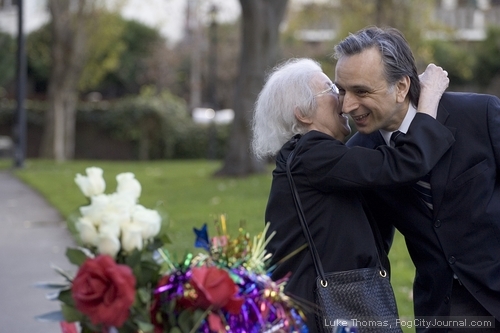 Ernestine Weiss and John Rizzo. 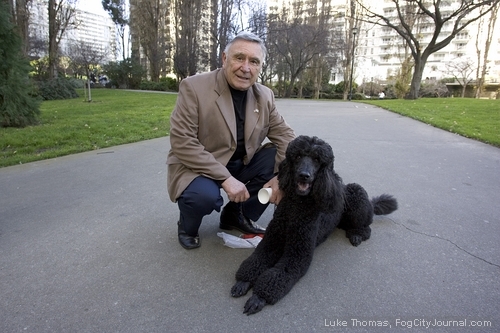 Comments for San Francisco Honors Neighborhood Activist are now closed. 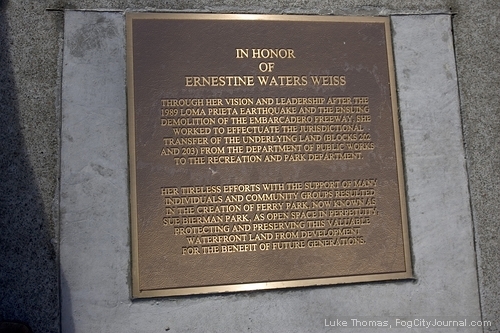 Ernestine Weiss did not save the park. Eula Walters did. One of the biggest mistake the city made was giving Ernestine a plaque! 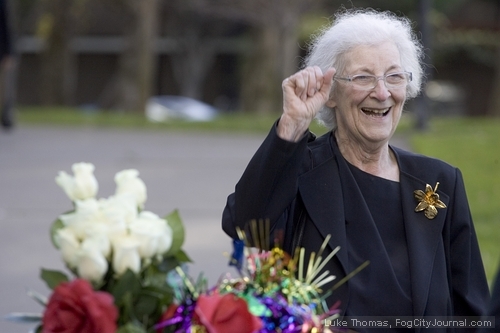 And, the idea of giving Eula one is as crazy as….well, as crazy as Eula is. If they are putting up plaques in this area why not one for Eula Walters who has done more to fight for and protect this same open space? One Ernestine is worth 100 Obamas as far as I am concerned.